Note: The camera with built-in TF Slot, but TF card not included. FAQ: I saw some outdoor cameras with similar outside appearance as yours, but why is your price higher than others? Answer: Please note our IP505 outdoor Bullet Camera support both WIFI and Wired Ethernet cable, and built-in TF card slot, can support Max 64GB TF card loop recording, but others only support wired, no WIFI, no micro SD slot. The below is Real Video from the Outdoor IP Camera. FAQ. Why does the outdoor camera NO Mic, Speaker and built-in siren as an indoor IP camera? 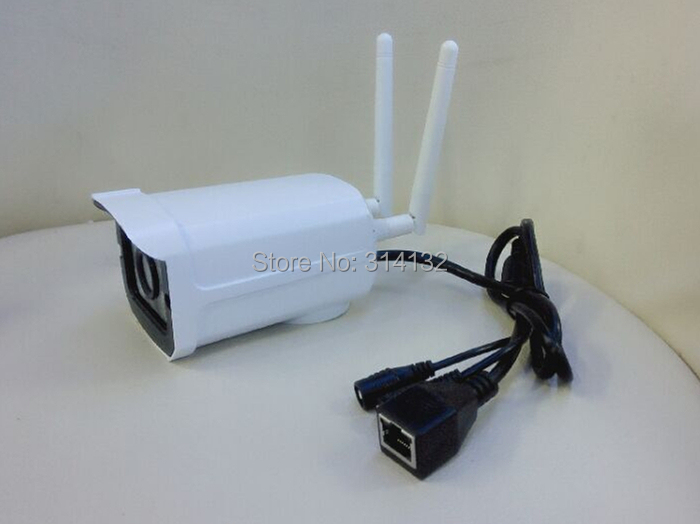 Answer: It is outdoor IP camera. If drill some holes to locate MIC, Speaker, siren etc. on camera body, water will be easy to leak into the camera in raining days. So normally outdoor cameras don’t have MIC, Speakers. FAQ: Can the camera work with WIFI or Wired Ethernet Cable. 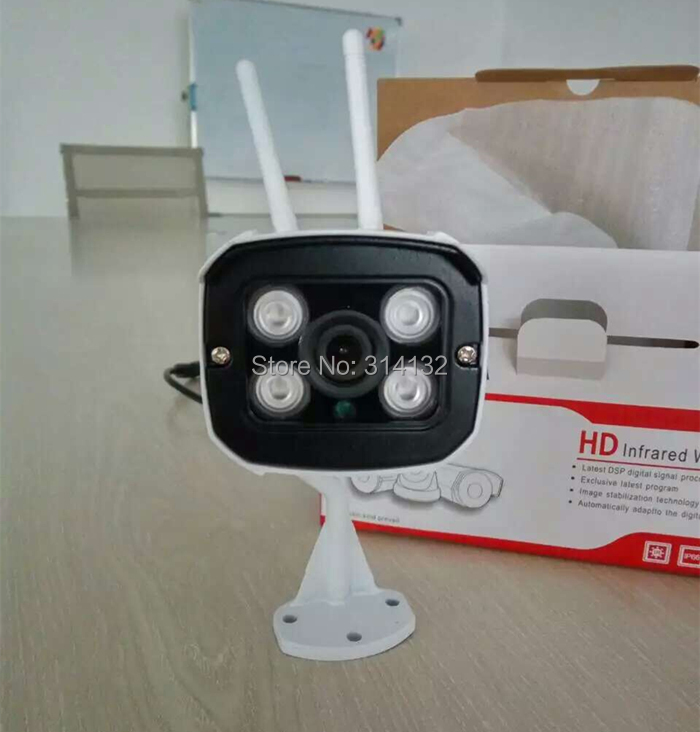 Answer: Yes, the camera has RJ45 network Socket and built-in WIFI module, so it can work with both WIFI and Ethernet Wired Cable, but suggest to use cable. Note: The camera can work with only 2.4G WIFI, but don't support 5G. FAQ. Why not put TF slot in camera body case as indoor camera? It is easier to install the TF card. Answer: If there is TF slot, it is easy to leak water into camera from TF slot. It will be unsuitable for outdoor use. 1. The camera is compatible with YYP2P and YOOSEE App and CMS PC software from my company. If you would like to add it into other types of monitor software, please contact us before buy and tell your software details for my engineer checking the Possibility in order to avoiding any uncompatible problem. We will default buyer use ourself App and PC software of the product has if no any notification before order. We will not do any technicle support for linking with other softwares from other suppliers and will not take any reponsibility for the incompatible problem. 2. 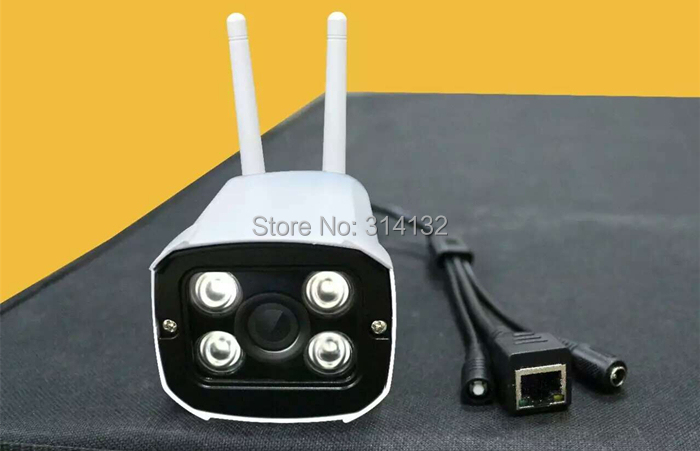 The camera use latest technology--P2P cloud auto connection, is more convenient to use, no need do IP address setting manually. 4. Why is the mobile app & computer software introduced in the description is with some difference from the actual one I download? Answer: Please note my company always keep updating the product and software. The one you download is latest version. This is why there are some difference.